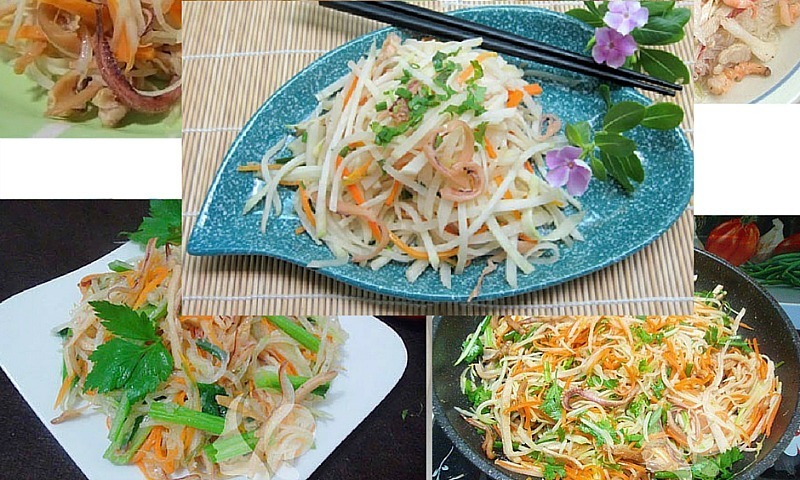 Vietnamese Kohlrabi Stir-fried with Egg Recipe (Su Hào Xào Trứng) is a very familiar dish in almost Vietnamese daily meals. This is an ideal dish that you can prepare on busy days, because this dish is very simple, and it does not take you much time to prepare. 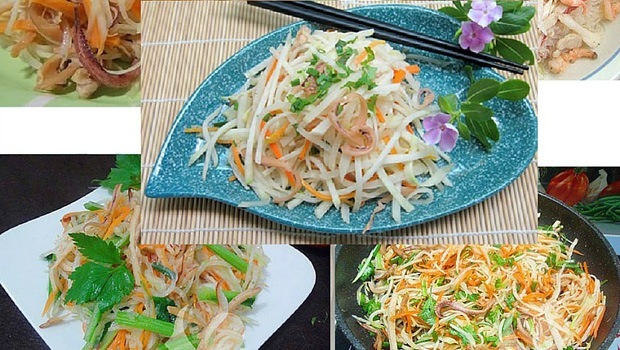 Kohlrabi Stir-fried with Egg is also a very popular dish when the cold weather comes in. Not only delicious, low cost, kohlrabi is one of foods rich in fiber, calcium, phosphorus, iron, vitamin C, and nicotinic acid. According nutritionists, kohlrabi is a special food that helps purify the blood and kidneys, eliminate toxins from the body and digest easily. 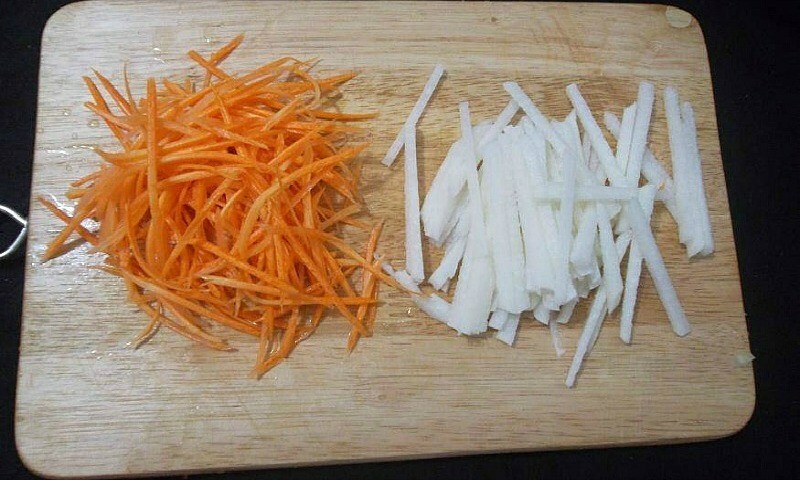 Use a knife to peel the kohlrabi and carrot. Then, slice them into thin threads. To get kohlrabi and carrots softer and denser, you should sprinkle a little salt onto them and stir evenly. With scallions, you wash off, and cut into pieces with 2 cm in length. Heat the cooking oil, then, pour the prepared kohlrabi and carrot into the pan and stir well (turning on the fire with the high heat when stir frying will help kohlrabi and carrot to be crispy and tasty.) Next, pour fish sauce, sugar, and MSG to fit with the taste of your family and then stir evenly. 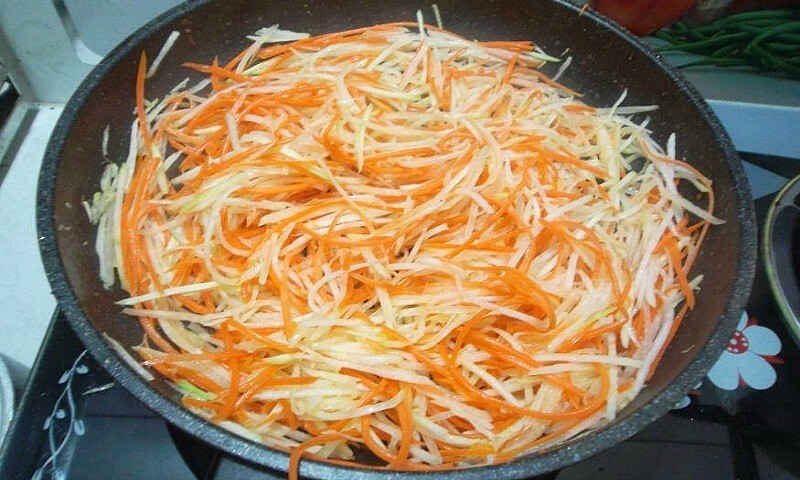 When you see kohlrabi and carrot are ripe, you add egg to the pan and stir evenly. Finally, you turn off the fire and sprinkle a little bit of scallions onto your dish.